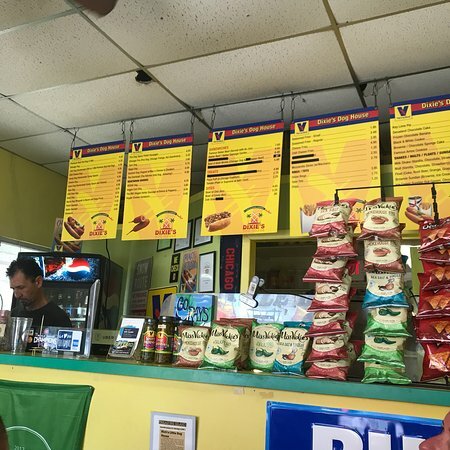 Vienna Beef hot dog with your choice of Mustard, Pickle, Relish, Onion, Sport Peppers, and Celery Salt on a steamed poppy-seed bun. Want everything on it?? Tell us to "Drag it through the Garden." Vienna Beef hot dog, Homemade Chili, and Cheddar, Nothing Better! Homemade Coney Sauce and Cheddar Cheese. Simple, and Awesome! Vienna's Spicy Sausage - So Good! We have some very special Dogs here. Made fresh to order. They are amazing! Bacon Wrapped 1/4 lb Vienna Hot Dog topped with whatever you like. 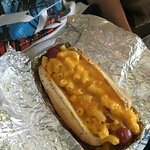 Vienna Hot Dog, Mac N. Cheese, topped with real Cheddar Cheese. WOW...so good! 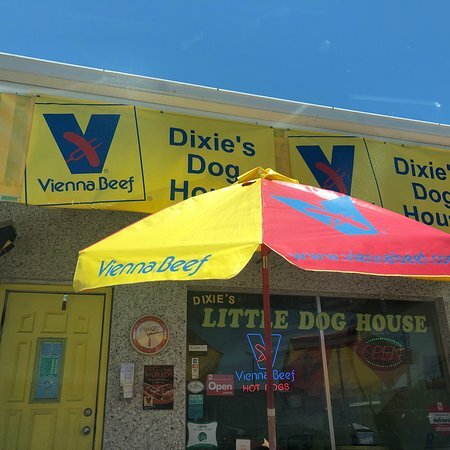 A Vienna Beef 1/4 lb dog, Half Coney sauce, Half Chili. Which half will be YOUR favorite? 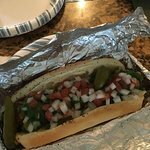 Vienna Spicy Polish Dog, Chicago Fixings, topped with our homemade Fire Giardiniera (relish). If you like the heat...we bring it! Our homemade Coney sauce, melted cheddar cheese, Chicago fixings (pickle, mustard, onion, relish, tomatoes, celery salt, and sport peppers), topped with steaming hot Kraut! WOW!! We use Fresh Ground Chuck to hand make you 3 Mini Burgers, topped with cheddar, onions, Ketchup and Mustard, served on toasted mini pretzel buns. A House Specialty! 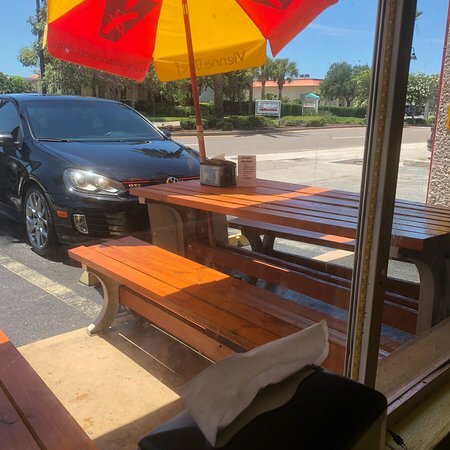 We serve the BEST chicken wings you will find anywhere. Our sauces are homemade, and we even make our own Bleu Cheese dressing. Cooked fresh to order, served Plain, Blackened, Mild, Hot, or Nuke! Guaranteed to please! Our Fries, tots, and Onion Rings are always cooked fresh to order. If they don't burn your fingers, we made em wrong! The best beer battered onion rings you will find anywhere. We make the sauce from scratch. We highly recommend them. Seasoned and cooked to perfection. Never prepared in advance. 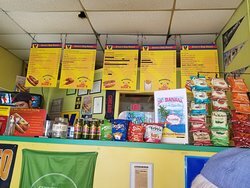 Always made to order. Simple Waffle Goodness. Just like that place that closes on Sundays. Add some Crunch To your Lunch! Vienna beef hot dog wrapped in puff pastry and cooked to a delicious crisp. Served in a basket with mustard and our spicy Dave's Sauce! Homemade. No Beans. Really Good! Surfers made this famous. A great snack to grab on the way to or from the beach. We open a bag of Fritos and top with Chili and your choice of onions, cheese, and other toppings. Eat it right out of the bag! Yum! Satisfy that pizza craving with this treat! Great right out of the bag! Right from the streets of NY. Delicious! Warm Brownie topped with vanilla ice cream and chocolate sauce. mmmm!! Coke Products, because Coke IS the Real Thing! Fuel up, Friends! What color would you like? We typically have RED, BLUE, YELLOW, and ORANGE. Alright, listen up...we don't like making these. Nothing personal, but it takes a long time to scoop REAL ICE CREAM and get it in the blender with fresh whole milk to make a truly delicious Milk Shake. We have actually had customers ask us, "What does MALT taste like?" Um...how do you describe MALT to someone? Have you ever had a malted milk ball? THAT IS WHAT MALT TASTES LIKE! Minute Maid. 100% Real Juice! We have a great selection from which to choose. The KING of beers's...illegitimate child. Lite Beer?? Really?? oh, alright! Enjoy! A great and tasty India Pale Ale. We don't believe in the whole LOW CARB thing. 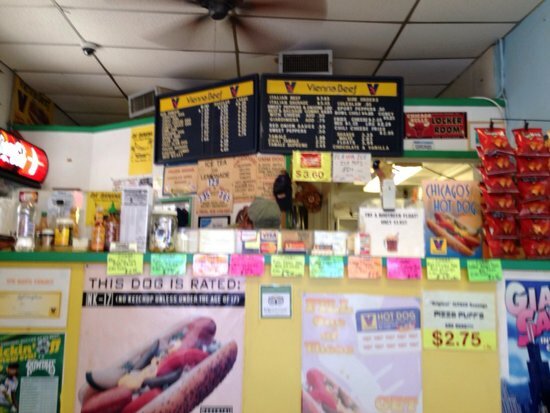 How could we selling Hot Dogs, Italian beef sandwiches, and pizza puffs. But if you want low carb beer...well, this is it! Perfect size, come in plastic wine glasses that can be resealed. 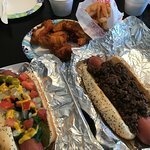 Me encanto el Chicago dog y el Italian beef!! Recomendadisimo!!! 🔝tienen una buena variedad de opciones muy ricas para escoger! Es un sitio para repetir! El personal fue muy amable y servicial. El perro de Chicago era bueno y las mejores opciones bonitas. La ubicación era buena. Mi perro Chicago era realmente grande, jugoso y delicioso. Sentí que los precios eran muy buenos. Voy allí al menos una vez al mes. El servicio siempre es bueno también. La carne italiana es el verdadero. Pequeño gran lugar y super gran personal. El cocinero/camarero era un espectáculo, pero nuestra comida hombre salió rápido, fresco y delicioso. Bueno para un bocado rápido. . Pero te llena. 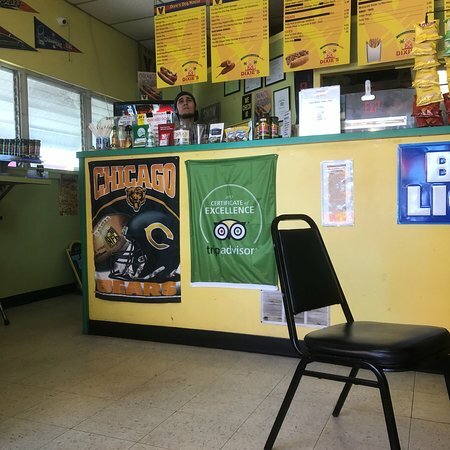 Gran perros que cumplan las normas de Chicago. 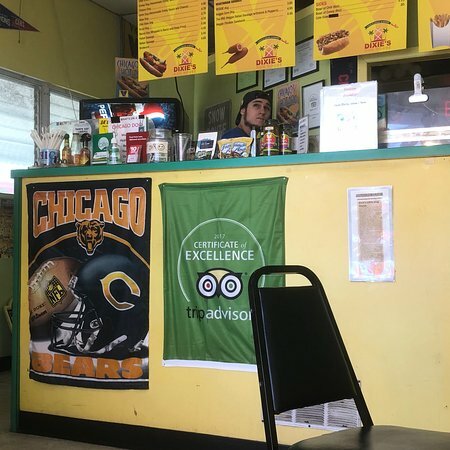 Italian Beef también era delicioso. Excelente servicio! ! ! 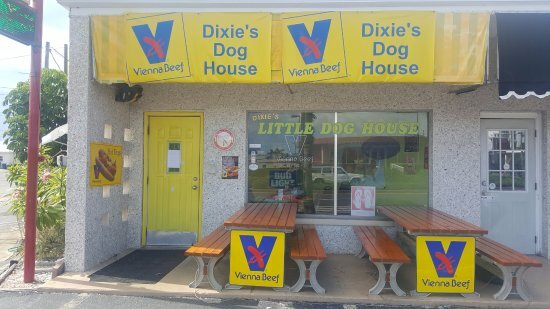 Obtené respuestas rápidas del personal y los visitantes anteriores de Dixie's Doghouse.